A small space can also be a luxurious space, especially when bathed in soft light from an antique Chinese fabric lantern. 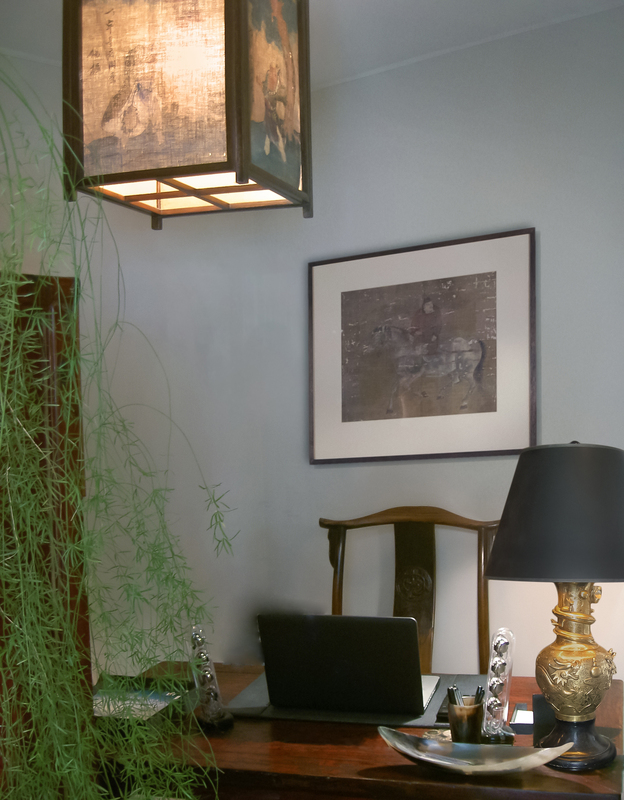 This stress-filled music executive wanted a “non-office” look for his home office; something that would complement his existing decor and yet stand apart as a statement and also support a more “zen” approach. We decided upon an antique Chinese wine table for a desk, trimming the legs to just the perfect place for his unusual height. An “Official’s Hat” chair, vintage gilted Dragon-motif table lamp and modern horn & shagreen desk accessories completed the look.